Burlappcar: All new Lincoln Aviator coming up. 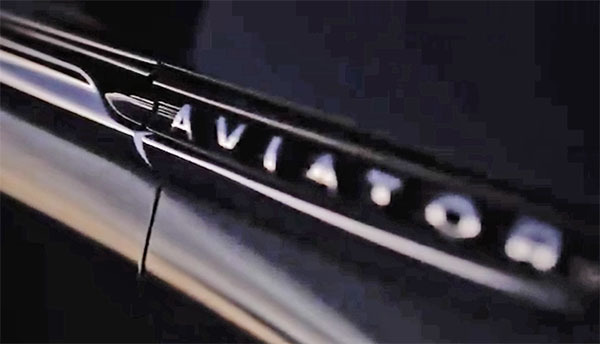 Lincoln has just released video teaser (HERE) of what stye call the "Aviator Preview". 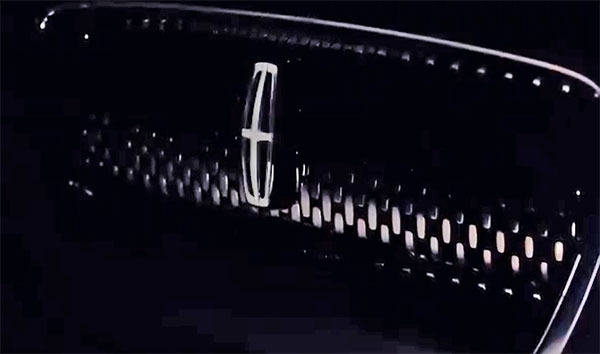 Lincoln has just released this teaser video for the all new 2019 Aviator. Just like the Aviator from years ago, it will be based on the Explorer. Except now, the Explorer is not truck based anymore. It will be interesting to see if Lincoln will give it its own design. Like they did for the Nautilus (former MKX) which is basically a Ford Edge underneath. This should mainly compete with the Buick Enclave. And upcoming Cadillac XT7. It si great to see Lincoln recognizing the stupid idea of calling all their cars "MK something". As they are now going back to real names. Hopefully it will have it's own design. It is amazing that both Cadillac and Lincoln have neglected the midsize 7 passenger space for so long. The Bentley looking grill is not cheap looking that Lincoln on the current updated models. Bentley competes with Rolls Royce, both are the top of the ultra luxury vehicles that are not performance based vehicles! Lincoln looks much better and more prestigious now! I agree. The grill is what at this point is helping Lincoln. The new navigator is the best product they’ve put out in years. I hope it is a mini navigator and not some other CUV looking thing. BUT I hope it has a better rear end than the navigator. I agree, while it bores me when the whole line gets the same face, at least it’s distinctive and easily identifiable as a Lincoln. I think the tails on Lincoln’s that are a disappointment. It would be awesome if this ended up looking like a mini navigator (like the old Aviator used to be) I love the new navigator but it is hella expensive. Unfortunately, I agree that the Aviator will probably just be the renamed MKC. Glad to see them bringing back real names! Cadillac should do the same - just a rich-history of great names to choose from! The Aviator is Lincoln's version of the all new 2019 Explorer. A larger 7 seater.